The HTC Titan II smartphone launched yesterday at AT&T stores – well, kind of. 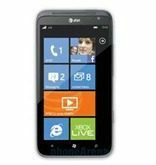 Though both the Titan II and the Nokia Lumia 900 were scheduled for a Sunday, April 8 launch, many AT&T stores were closed for the Easter holiday. That made for a rather awkward launch, as the phones were, for the most part, only available for online purchasing on the first day they became available. However, both phones were available for pre-ordering and some shoppers who pre-ordered have reported that they began receiving their phones on Friday. Like the Lumia 900, the HTC Titan II is a Windows phone. It’s priced at $199 through AT&T with a two-year AT&T contract. It’s listed at Amazon for $149.99 with a two-year AT&T contract. The HTC Titan II is a 4G phone that features a big 4.7 inch touchscreen. With it’s 16 megapixel camera, it sports the highest megapixel camera that AT&T offers. The second, front facing camera, is 1.3 megapixels. The HTC Titan II can be purchased with up to 16 GB of internal storage. It has a single core processor with 512 MB of RAM.